Women who undergo induction of labor spend a longer time, on the average, in labor than women who go into labor spontaneously. If your cervix is favorable (ripe) and does not need to be ripened at the start of induction, however, your induced labor may go faster than spontaneous labor. Induction of labor can be done using drugs or non-drug methods or a combination that ripen the cervix and initiate contractions. Induced labor, in general, progresses at a slower speed than spontaneous labor. The initial or latent phase (the longer and more variable phase) of the first stage of labor is significantly slower in induced labor. Once active labor (the shorter, faster and more constant phase of the first stage) starts the speed of labor is similar in induced labor and spontaneous labor. Cervical ripeness at the start of labor will influence the speed of labor whether induced or spontaneous. A study reported in the Journal of Obstetrics and Gynecology in 2012 and reviewed and summarized in the OBManagement journal provides current information on the speed of labor for induced labor versus spontaneous labor. During the latent phase of the first stage of labor (up to 6 cm in this study) women in induced labor took significantly longer to dilate each centimeter than those in spontaneous labor. Once in the active, rapid phase (6 cm to full dilation of cervix), average time to dilate each centimeter was similar in the two groups. Induced labor is slower than spontaneous labor because the initial (latent) phase of labor is significantly slower. In induced labor both types of women (primigravida and multigravidas) could spend up to 17 hours in labor after 4 cm dilation and still deliver vaginally. This study did not compare women who had a favorable or ripe (soft, thin, short or dilated) cervix at the start of induction to women who had an unripe cervix, a factor which influences the speed of labor. The state of your cervix at the start of labor influences the speed of your labor. If your cervix has to be ripened before induction, once labor starts it will proceed slower than if your cervix was ripe at the start. Women induced with an unripe cervix at the start, and therefore underwent cervical ripening pre-induction, had a slower labor than women in spontaneous labor. Women induced with a ripe cervix to start had a shorter labor than those with an unripe cervix. Of note, the induced women with a ripe cervix, in this study, also had shorter labors than women in spontaneous labor. The point of induction is to initiate the onset of regular contractions that progress to active labor and a safe vaginal delivery, not to shorten the duration of labor. Induction of labor should be reserved for clear medical indications (medical induction) where the health of you or your baby is in jeopardy. Rarely it can be considered for a planned, safer delivery (elective induction) if you live far away from a hospital to avoid the risk of unattended, spontaneous labor at home or in route. The American College of Obstetricians and Gynecologists (ACOG) and other experts do not encourage elective induction of labor for other conveniences, and if done, your doctor must ensure that you are at least 39 weeks along. It is important to have realistic expectations for your health and your baby's health when you consider induction of labor. Talk to your doctor or midwife in detail about reasons why she is recommending induction of labor. 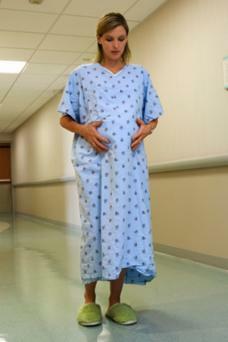 There are various methods that your medical providers can be used to induce labor. There are women who consider herbal or natural methods as well. It is not advisable to try to stimulate labor on your own, however, to avoid risks to yourself and your baby.